Warmer weather is vastly approaching, which means it’s time to say sayonara to bleak winter days and hello to sunshine. The East Coast will burst to life once again and it will be time for all of the coastal hotspots to open its doors for eager summer visitors. One hotel in particular is extremely excited to invite guests in as it underwent a rather colorful makeover during the winter season: the White Elephant in Nantucket, Massachusetts. In collaboration with Lilly Pulitzer, the White Elephant’s cottage’s new aesthetics burst to life, adding bright, playful accents throughout its interior. You won’t want to miss the opportunity to experience this colorful oasis this summer. 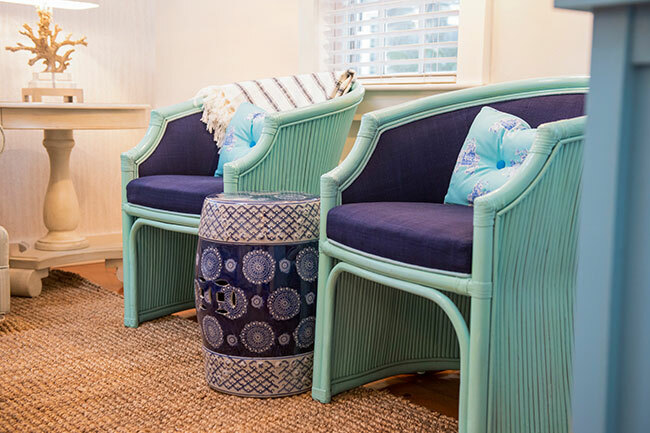 Lilly Pulitzer infused the cottage with inspirations pulled from White Elephant’s coastal surroundings. 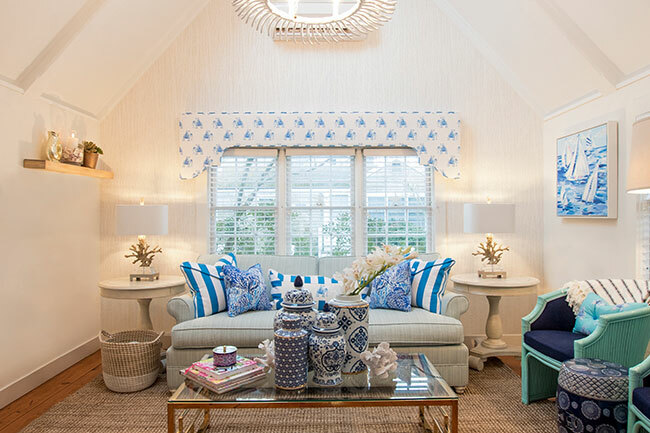 Hues of blue and whites splash the interior, giving the cottage a nautical feel, an ideal theme for any Nantucket vacation. Guests who stay in the cottage will spy striped pillows, a sailboat watercolor painting and an elephant print valance that pays homage to the hotel as well as Joy Ride, one of the brand’s famed prints. Other nautical-inspired decor includes shell mirrors, ceramic trays and Lilly Pulitzer candles and prints. 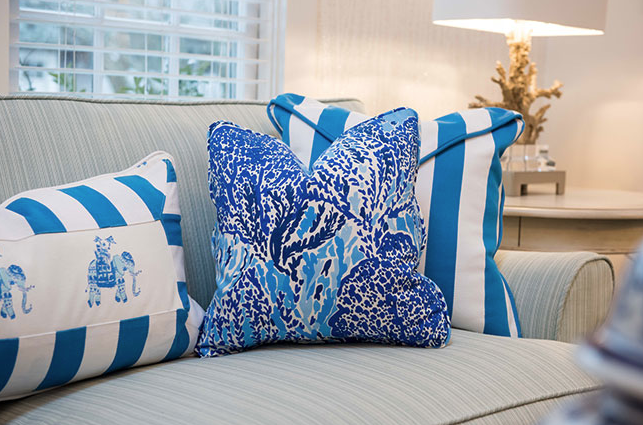 Not only will guests indulge in the effervescent decor, but they will also be gifted a Lilly Pulitzer beach tote with a limited edition print inspired by Nantucket to carry their beach items around in. Besides enjoying your stay, guest of the White Elephant will be exposed to an array of elite amenities. White Elephant overlooks the notable harbor, giving guests a picturesque view morning to night, complimentary Priority Bicycles, L’Occitane products in rooms and access to concierge services. 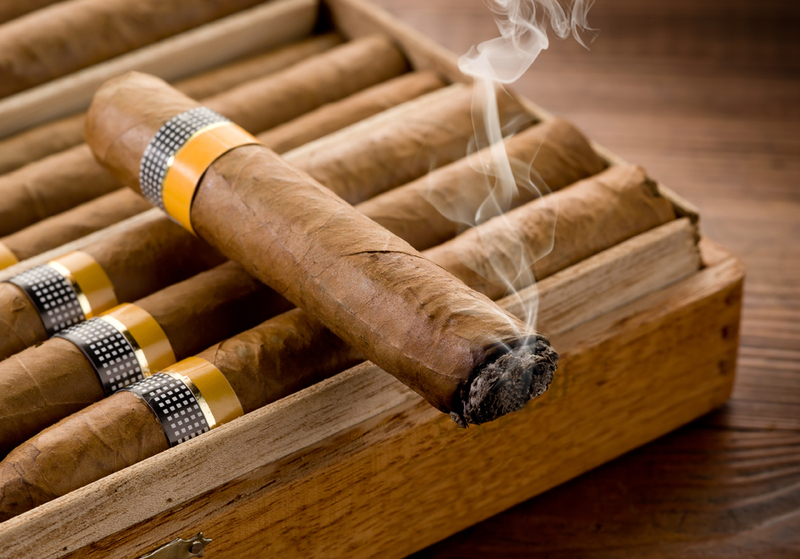 Besides amenities, White Elephant offers guests exquisite dining options at its in-house restaurant Brant Point Grill, spa services at the Nantucket Spa and close proximity to some of Nantucket’s most famed sites including the downtown area of Petticoat Row. The White Elephant officially opens for the season on April 12. Rates for the Lilly Pulitzer Cottage will start at $350 per night. 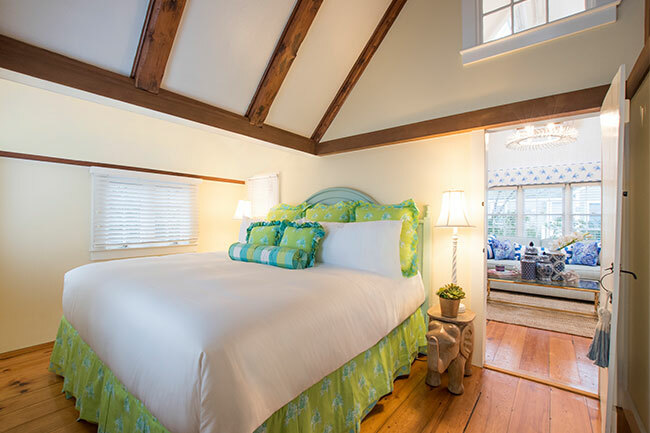 To book the cottage, contact 800.475.2637 or visit www.nantucketislandresorts.com or www.whiteelephanthotel.com.